STEP #5: TRY NEW PLANT-BASED FOODS & RECIPES! Friends, this is where the real exciting adventure begins! Personally, I find this to be the most fun part of the journey. I think my family would agree, because they get to taste test lots of new plant-based breakfast, lunch and dinner ideas…not to mention baked and no-baked goodies. A good place to begin would be to start trying some of the plant-based recipes on this site! Think of yourself as a connoisseur or budding foodie on the trail of plant-based goodness, searching for delectable recipes to incorporate into your family’s cooking repertoire. Your explorations will lead you to discover new tastes, colors and methods of cooking that you previously had not envisioned. Don’t be afraid to experiment! At worst, you end up with a result that doesn’t taste great, but then just modify the recipe or try a different recipe. For myself, I never thought there would be such easy substitutions for eggs in baked goods (you could make a flaxmeal egg replacer or a chia seed egg replacer easily), or learn to appreciate the flavors within an Indian dish and even make a few Indian dishes myself! I am now using new spices like coriander, cumin and garam masala in my kitchen and have even made a vegan pumpkin pie using tofu as a base! You might find some tastes and recipes that the family likes and some that they don’t like. But regardless, you will be awestruck at the wide array of existing and newly emerging whole-food, plant-based recipes on the horizon through sources like the Internet, cookbooks, magazines, library resources, friends and acquaintances. For those with a ‘sweet tooth’ out there, you might be glad to find that there are actually a lot of plant-based foods out there that are naturally sweet, and fruits like dried figs and dates can be used to sweeten baked goods easily. Call them ‘Nature’s Candy’ if you will. There are also many easy vegan baked and no-bake treats that can be found through recipe sites on the internet, which don’t require fancy ingredients or a lot of time. Here is another piece of good news. 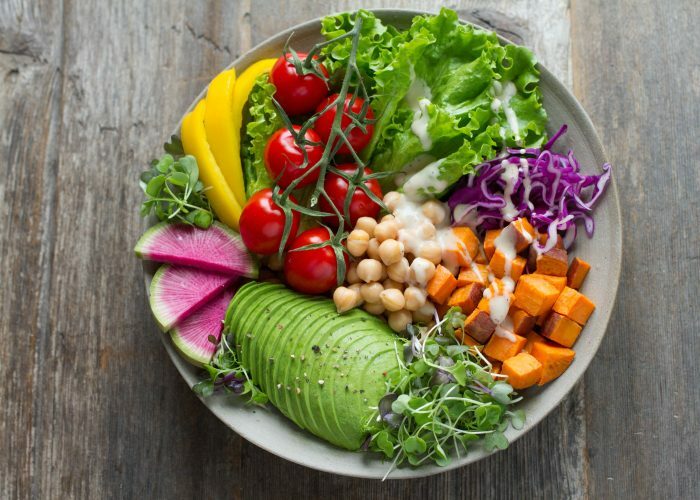 Currently, there is an abundance of plant-based alternatives on the market with new products continually emerging – you just need to be on the lookout for them in the grocery store, health food stores, ethnic food stores and online. Examples include soy based mozzarella or cheddar ‘cheeses’, dairy and soy free shredded ‘cheeses’, nutritional yeast fortified with vitamin B12, non-hydrogenated vegetable margarine, tofu dogs, tofu with different levels of firmness, veggie bologna, hemp hearts, ready-to-use nut and seed butters, ground flaxmeal, tempeh and a variety of calcium and vitamin D fortified plant-based milk alternatives. These commercial options make it much easier nowadays to maintain a plant-based diet, especially since you do not need to spend time processing or making some of these from scratch if you don’t have time (like making seed butters, tempeh or tofu! ), though of course it is important to still choose whole foods where possible. It also helps tremendously that the world we live in now is a global market and foods from different countries are often imported into the nation. So take advantage of this! * Don’t be afraid to try new recipes (or create your own!) and new ways of cooking (e.g., stir-fries, casserole dishes, salads, soups). If you have time, read the some reviews on a recipe before trying it. This will tell you if you need to modify the recipe, if you can use certain substitutions or whether the recipe is even worth trying! If you are just starting out in this plant-based realm, pick recipes that require 10 ingredients or less and don’t need exotic ingredients that are hard to source. Besides this website www.dietitianmom.com, there are many other great plant-based vegetarian recipe websites on the Internet, with just some examples being www.chocolatecoveredkatie.com, www.plantplate.com and www.emmaslittlekitchen.com. *Use your slow cooker! As mentioned in previous posts, the slow cooker is my new best friend, especially for recipes using legumes such as beans, split peas, and chickpeas. See below for some links to great recipes I’ve tried and tested already. *Experiment with different nuts and seeds, including using flaxmeal in your cold and hot dishes. *Experiment with making a variety of salads and using different toppings and dressings. *Experiment making your own protein bars/snack bars (non-baking options and baked options available). These then become great snack options for you and your family. * Try modifying existing recipes. For example, does a recipe call for butter in the graham cracker crust? Substitute with some vegetable oil, and it works pretty much just as well! Need an egg in a recipe? Try using an egg replacer like a ‘flax egg’ or a ‘chia egg’. Need to use cow’s milk in the recipe? Substitute with a fortified plant-based milk alternative like almond milk, soy milk or coconut milk. Here is just a small sampling of the recipes available from the Internet. I’ve made these recipes and found them easy and delicious. My family agrees!